Founded in Solingen Germany by Artur Schmitz in 1923, the story of Kuchenprofi is one of dilligence, innovation and refinement. Early on, Kuchenprofi realized the need for affordable functional tools that make the kitchen more efficient and more enjoyable. The name of Kuchenprofi reflects strength, quality and functionality demanded by chefs around the world. Kuchenprofi made for professionals, now available to anyone passionate about cooking. 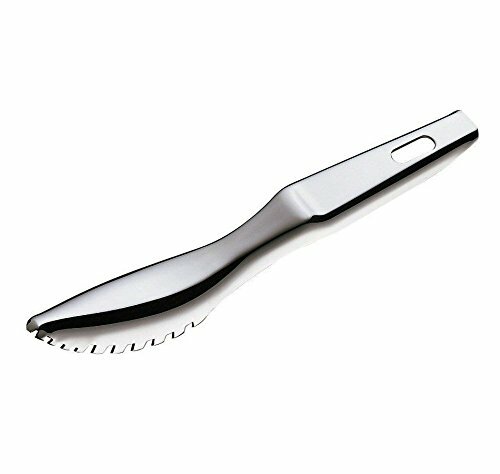 This fish scaler, from Kuchenprofi, removes the scales from fresh or salt water fish quickly and easily. With its special shaped teeth, any size of fish scales can be removed. If you have any questions about this product by Küchenprofi, contact us by completing and submitting the form below. If you are looking for a specif part number, please include it with your message.